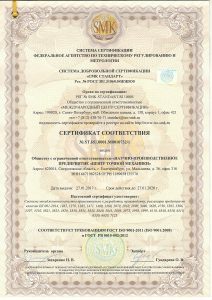 The Research and Development enterprise “Centr Tochnoi Mekhaniki”(Precision mechanics center) – OOO NPP “CTM” offers to perform highly accurate metal processing on CNC machines: turning, milling and turning-milling. Metal processing is performed by highly technically trained professional engineers on high-precision Japanese equipment, subject to modern technical requirements for processing. Our modern life can not be imagined without high-tech devices, machines and equipment, everything around us consists of parts. And every part of any mechanism goes through a complete production cycle, from project development, creating a program for CNC machines, making a sample, to fully launching the product into mass production. The Research and Development enterprise “Centr Tochnoi Mechaniki” performs the full cycle of creating details, including the development of the technological process and control programs, the production of the finished product with all the necessary processing stages. OOO NPP “CTM” performs metal processing on multifunctional machining centers OKUMA and MAZAK which are recognized brands in the area of high-tech processing. The use of this equipment by itself is a guarantee of high quality finished goods. The degree of processing and the complexity level allows to work with hard in processing and complex materials, to perform ultra-precise and ultra-fine finishes. Innovative numerical control capabilities allows to perform super complex cuttings with micron accuracy. High production and processing speed, the ability to produce stock-produced and piece goods of impeccable quality, are the main competitive advantages of the “Centr Tochnoi Mechaniki” company. The company specializes in the manufacture of complex basic parts for the precise machine manufacturing, missile and aircraft industry, instrument making and radio-electronic industry. Metal processing on CNC machines is always in demand. 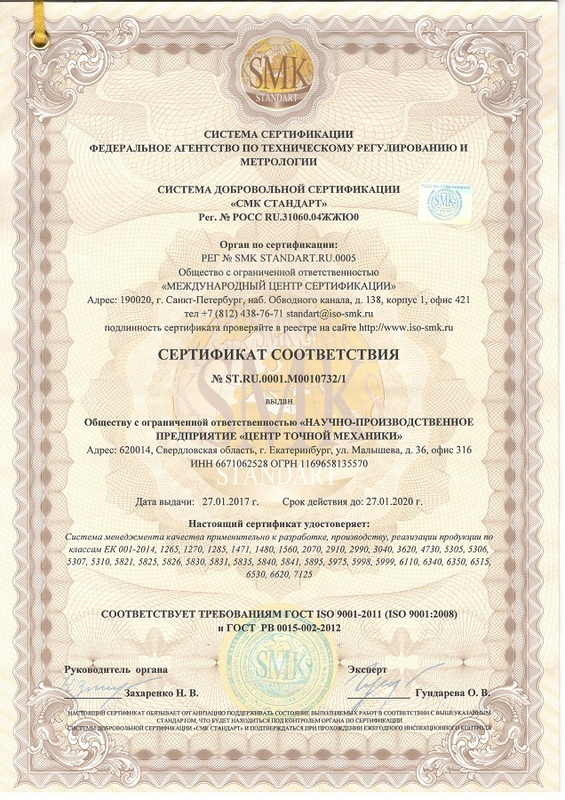 The Research and Development enterprise “Centr Tochnoi Mechaniki” invites large enterprises, small and medium businesses to cooperate.